We are located on the campus of the Evergreen State College in Olympia. The campus is accessible by Intercity Transit routes 41 and 48. Excellent maps and driving directions information can found here. Our space is in the Center for Community Based Learning and Action (CCBLA), Sem II E2115. 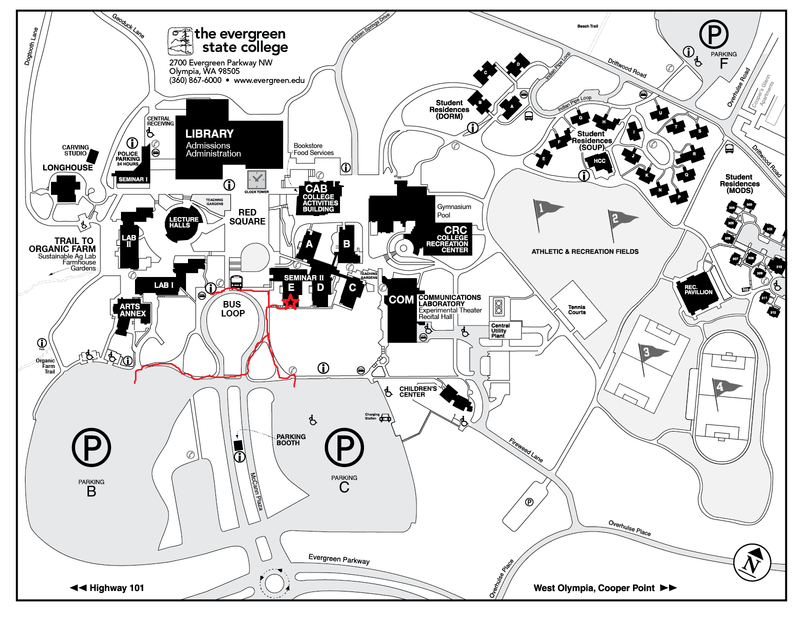 If you click on the image below there is a printable map with routes to the building from both parking lots and the bus loop marked in red. You do not need to go up or down any stairs to access the space and it is a very short walk (5 minutes at most).